Linux enthusiasts rejoice: Super-thin “Project Sputnik” XPS 13 laptops from Dell with Ubuntu and Intel Skylake chips should be just around the corner. Dell’s Project Sputnik laptops have attained something of a cult status with a segment of Linux users since their introduction in 2012. The XPS 13 Developer Edition will be the only dedicated, thin-and-light Linux laptop with Skylake from the top-five PC makers. The next XPS 13 Developer Edition is “closer” to shipping and so discounts are being offered on older models, George Barton, a senior technologist at Dell, said in a Google+ post. Older models are powered by Broadwell chips, which preceded Skylake. Dell still isn’t giving an expected delivery date, nor a price or hardware specs. A Windows 10 version of the XPS 13 with a Core i3 chip starts at $799. The XPS 13 looks a bit like Apple’s MacBook Air and has been praised for its slender design and edge-to-edge touch screen. The most recent version of Ubuntu is 15.10, code-named Wily Werewolf. Recent Ubuntu editions have a user interface focused on touch. Ubuntu is used mostly in servers and PCs, though Canonical has been adapting the OS for mobile devices and TVs. 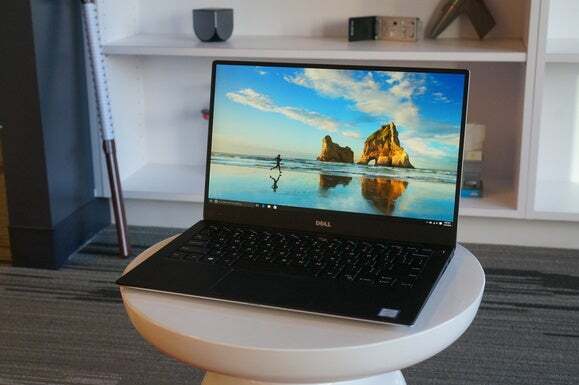 Dell introduced its first Project Sputnik laptop as an experiment to bring Linux to “ultrabook”-style laptops with touchscreens, which were relatively new in 2012. The project has evolved into a broader effort for the open-source community to develop tools, drivers and software for such laptops. An Intel spokesman said all Skylake chips that power Windows laptops can also run with Linux. The company doesn’t optimize operating systems specific to chips, and Intel’s team has contributed drivers to the Linux kernel. Microsoft recently changed its support policy for Windows PCs with Skylake, but that doesn’t affect Linux, the Intel spokesman said. Linux will work with Skylake and future chips. It’s still unclear if Linux laptops like the XPS 13 Developer Edition will have features like Windows Hello, which lets users log in using fingerprints, face-tracking and other biometric features. A lot of those features originate at the chip level and through accessories like Intel’s RealSense 3D camera. Linux and Windows may run on the same Skylake chips, but the availability of specific features depends on contributions made by the open-source community to the Linux kernel, the Intel spokesman said.